This update will include some good points and some bad points. Before I delve deeper, let me just admit right here and now that I’ve bought more than I should have this year. I allowed the stress of my ongoing health issues, weight gain and body image issues, turning 50, and transitioning to gray hair to adversely affect me and I resorted to my longtime coping mechanism of shopping, at least for a period of time. Clearly, I still need to develop new and more productive ways of managing my stress (perhaps I need to review this list). However, it’s not all bad and all is not lost. I believe I can still end the year on a high note and I fully intend to do just that! I finished July right on target and I am in the negative zone for August after having made several returns. As I still have a number of items with their tags still attached, I don’t intend to buy much more this year and I may even make some more returns. I’m definitely set for the current warm weather season, which lasts into November where I live. I don’t need much for the cooler weather, either, so I’m in a good place with my wardrobe. Whatever I do purchase will be targeted for true wardrobe needs, which I will go over in a follow-on post next week. I feel confident that I can end the year on budget for the fourth year in a row (after previously not sticking to a budget for ten years running). I did not have an item limit last year and ended up buying too many things, even though I didn’t exceed my budget. I purchased 70 garments in 2015, most of which fell into the “out and about” category. I wanted to cut that number way down this year, so I chose to implement an item limit for 2016. Several members of my private Facebook group opted to purchase no more than 36 items this year (they called it “Team Mod”) and I elected to join them. However, since I hadn’t been overbuying in most wardrobe areas, I confined my item limit to “out and about” clothing only. My reasoning was that having a limit in place for that wardrobe category would push me to focus more on my shoes and at-home wardrobe, which was something I wanted to do. This is where I really got myself into trouble over the past four months and especially in July. I became very nervous about my weight fluctuations (I’m still not sure why this has been happening to me) and worried that I wouldn’t have anything to wear, so I did quite a bit of shopping, particularly at resale stores. My hope was that I’d find some more forgiving garments that didn’t require me to stay within such a narrow weight range as my highly fitted jeans, tank tops, and the like. Luckily, I found some such items, but I went overboard in how much I bought. Some pieces didn’t work out, as is often the case with secondhand clothing, but many of them are still in my closet and are serving me well. There are the new “out and about” items I have purchased so far this year. With all that said, I’ve decided aim for two “out and about” purchases per month for September through December. Therefore, including the pants I should be receiving any day now, my new “out and about” item limit for 2016 will be 45. Even though that’s still a high number, it’s probably fewer items than I’ve bought in any year since at least my late twenties. With the exception of 2011, I didn’t track my purchases before I started the blog, but I’d guess that the average number of new items I bought each year was in the 150-200 range. My lowest number since starting “Recovering Shopaholic” was 53, in 2014, so buying 45 items this year would be a 9% reduction from that. At least I’m headed in the right direction, but I’d eventually like to aim for an average of about two new items per month or 24 per year. In addition to the “out and about” clothing items mentioned above, I also added four pairs of shoes (three of which were gifts), two purses, three hats, three scarves (two of which are headscarves), three headbands, and 13 jewelry pieces (most of which I received in an accessory swap during my July Texas trip or as birthday gifts) to my wardrobe, as shown below. Here are my 2016 shoe and accessory new acquisitions, many of which were gifts. I likely won’t keep all of the jewelry pieces, but many of them feel like good additions to my collection. I used to buy many new accessories each month, but I no longer have the desire to do so. I’m mostly happy wearing and loving what I have, which I feel is a direct result of my “Love It, Wear It” Challenge (LIWI) from last year (see my accessory wrap-up post here). One of the main reasons for limiting my “out and about” clothing acquisitions was that I wanted to focus more on my at-home wardrobe, which makes sense since I spend most of my time at home. As I wrote about last year, I used to spend the bulk of my clothing budget and attention span on my “out and about” wardrobe while wearing boring and sub-standard garments at home. As a result, I often felt frumpy and unattractive when in my apartment, out on walks, and at the gym. Reading Terra Trevor’s excellent guest post, “The Clothes We Wear at Home,” made me re-think that approach and I gradually started upgrading my lounge items, workout clothes, and sleepwear. Doing this has made a positive difference in my attitude, self-esteem, and body image at home. This year, I did not limit the number of at-home items I could purchase, although all clothing and related purchases I make factor into my yearly budget of $2500. I feel very happy with the items I’ve added to my at-home wardrobe this year. Most of them have already been worn a number of times and have a low cost per wear. As I type this, I’m wearing my new black and white striped tee and black knit Capri pants, which is a fairly standard lounge wear ensemble for me. I feel that I’ve struck a good balance in that I’m both physically comfortable and like the way I look in what I wear at home now. I will continue to improve upon this area of my wardrobe over time. These are the new lounge wear and workout items I have purchased this year. Wear 2/3 of my clothes and shoes 5 or more times. Wear 1/3 of my clothes and shoes (a sub-section of the group above) 8 or more times. Aim for at least 30 “ultra all-stars” (items worn 12+ times), double my number from 2015. Aim for a single digit “benchwarmer” number (items worn only once or not at all). Basically, I was looking to double my statistics from last year in the top three goals and halve my number of benchwarmers, which was pretty ambitious. The “elephant in the room” with these goals is that in order to meet them, I need to have a lot less “closet churn” than I’ve had in the past. At this point, it’s probably unlikely that I will achieve all of the above objectives, but I believe I’ll fare much better than I did last year (see my 2015 wardrobe “all-star” and “benchwarmer” reports). I would be happy to end the year having worn half of my wardrobe pieces at least 5 times and a quarter of them 8 times or more. With just over four months left in the year, let’s look at how I’m doing thus far. It was definitely helpful for me to tally up the numbers, as they are quite sobering. I wish I would have taken the time to do this a few months ago, as it may have stopped me from buying so many new things, especially in the warm weather category that doesn’t traditionally see as much wear. As of today, I have 45 items in my closet that have been worn five or more times and 42 items that I’ve worn three to four times. It’s fairly likely that all 87 of these pieces will reach the 5 or more wear range and many of them will end up falling into the 8 or more wears category. The items that I have worn most often are jackets/coats, short-sleeved tops, and long-sleeved tops. Shown below are the 22 items that I have worn 8 or more times so far this year. These are the items I’ve worn most often this year (most are from my at-home wardrobe). With the exception of the jeans, all of the garments in this group are part of my at-home wardrobe, so it makes good sense for me to focus my future buying in that area. I don’t track the pants I wear at home (I did for about six months a few years ago and the numbers were very high), but those five or so items would for sure be included in the 8 or more wears category, as would most of my purses and watches and many of my earrings and bracelets. As I mentioned previously, I expect the 8 or more wears category to grow a lot larger before the year is through, but I’m not sure if it will be one third of my wardrobe or not. However, since I ended 2015 with just 30 items that fit into this category, I know my number for this year will be considerably higher and I’m happy about that. In addition, my five or more wears number for 2015 was just 51 and I’m currently at 45 with a third of the year left to go. I feel very confident that I will significantly exceed my 2015 number in that category as well. I’m making progress for sure. Although it isn’t as rapid as I would like, I have to give myself credit for the positive changes I have made thus far in 2016. The above is the good news, but of course there’s a flip side to the equation as well: the potential wardrobe “benchwarmers.” For the considerations of this post, I’m only going to look at those items that have been in my closet since 2015 and earlier, as I’ve purchased quite a few new pieces over the past few months that I have yet to wear or have only worn once. Hopefully, the new items will either find their way into my working wardrobe soon or will be returned for refunds if possible (some of them were resale purchases). Many of my pre-2016 items that I’ve worn just once or not at all fall into my summer wardrobe. While I know that summer is winding down for many of you, there are still two-plus months of warm weather left where I live, so it’s likely that a lot of those items will be worn. Still, I’ve learned that although I really love summer clothes, they just don’t see all that much wear, as that season lasts for only about a third of the year. I need to keep the size of that portion of my wardrobe in line with the reality of my life. Below are the pre-2016 items that I have yet to wear this year. Some of these pieces will be worn soon, while others will surely be purged from my wardrobe before the end of the year. I’m actually surprised that a few of them are in this category because I like them a lot, but others either don’t fit me well at this time (due to the dreaded weight gain) or don’t suit my current style. I have not yet worn these items that have been in my closet since before this year. Summer items feature heavily among the “worn once” category. As mentioned above, I simply have too many summer pieces for them all to be worn regularly. I need to just keep my favorites around and seriously limit how many new acquisitions I bring in. I see myself wearing some of these items at least a few more times before the cooler weather arrives, but others will likely be passed on shortly. I have only worn these pre-2016 items once so far this year. My original goal was to end the year having only a single digit number of wardrobe benchwarmers, in contrast to my 22 such items for 2015. Probably the only way for me to meet this goal would be to get rid of quite a few items, which I may opt to do. I think I’ll do the “KonMari Method” in my closet again (read about my last stint here) before the close of 2016 and really be ruthless about the “sparks joy” question, as well as the practicality of what I will actually wear moving forward. I’m going to revise my benchwarmer target to 15 or less and hopefully will be able to meet that goal. Seeing all of the potential benchwarmers from 2015 and earlier makes me wish I’d taken more time to shop my closet before running out to buy so many new pieces. There are some beloved items in the photos above which haven’t been being worn because I have heeded the siren call of the new. Sometimes I feel like I will never learn… But that’s why I do posts like this, to analyze my wardrobe and my behavior to increase awareness and start making better choices. I’m in a much better place with my wardrobe and shopping than before I started this blog, but I still have a long way to go before I’m where I want to be. I need to shop less and buy in line with my actual lifestyle needs instead of reaching for what looks exciting but has no real place in my wardrobe. I’m going to write a post about this sometime soon, but I want to share a few quick thoughts here. I have come to understand that I often buy clothes because I want to have the type of life that those clothes would be used for. I want to be someone who goes out and about most days and has a lot of fun events to attend. If my life were like my July Texas trip, with lots of lunches, dinners, meetings, and events, my wardrobe might be perfect as it is. But that is not my day-to-day life at all and I shouldn’t delude myself that it is or will be anytime soon. My most worn items are from my at-home wardrobe because the majority of my life is spent at home. When I go out, it’s mostly for health-related appointments, to run a few brief errands, or to go on a short walk near my home. Save the infrequent movies and meals out, that is my life and that’s what I should be shopping for. If I did that, most of my clothes would be worn at least eight times per year and I would have few or no benchwarmers. I’m 50 years old and I need to face the facts and live according to them. In the remaining months of the year, I’m going to continue to focus on wearing the clothes, shoes, and accessories I love most, much like I did with my LIWI challenge last year. While I may push myself to try to wear my potential “benchwarmers” to see how I feel about them, I will get them out of my closet if I find I’m not happy with them once I put them on. It would be great for those items to end up in someone else’s wardrobe who would wear them regularly, plus once they’re gone I won’t feel guilty anymore for having them. I’ve been told by many women that a great thing about being over 50 is that we start to care less about the opinions of others and start to follow our own internal voices more. I really hope that’s true because as I wrote this post, I worried incessantly about how it would be received. I worried that you would all judge me, be disappointed by my having shopped too much and that I still own too many clothes, and think that I hadn’t changed nearly enough in the almost four years that I’ve been writing this blog. Of course, some of you probably do think that, but the bottom line is that’s what I think about myself much of the time. While I still have issues, as I wrote about in this June post, I have made good progress and should give myself credit for the positives instead of perpetually flogging myself for my shortcomings. Stick to my monthly budgets for August through December and come in under my $2500 clothing budget for the year. Aim for two maximum “out and about” monthly item purchases for September through December and meet my revised 2016 item limit for that category of 45. End the year having worn half or more of my clothes and shoes 5 plus times and at least a quarter of them 8 times or more. Have 15 or fewer wardrobe “benchwarmers” at the end of 2016. There’s one area that I covered in my 2016 wardrobe and shopping goals post that I didn’t update here. Because today’s post had already gotten so long, I’m going to cover my shopping priorities in a separate installment. In that update, I’ll look at the focus areas that I outlined in February for clothing, shoes, and accessories and see how I’m doing in terms of the purchases I’ve made. Stay tuned for that post to go live sometime next week. What were your wardrobe and shopping goals for 2016? How do you feel you’re doing with those goals? Did you set a clothing budget for yourself? Are you on target for that budget? If not, what adjustments do you need to make in order to meet your goal? Do you have an item limit in place for your 2016 purchases? If so, what is included within that limit? Do you feel that you’ll meet that limit or are revisions in order? Do you track how often you wear your clothing, shoes, and accessories? How many times per year (or month) do you want to be wearing the various pieces in your wardrobe? Have a wonderful weekend! I’ll be back soon with my August “grab bag” of useful links (see previous editions here). Also stay tuned for the second part of this wardrobe and shopping goals update, in which I’ll bring you up-to-date on how I’m doing with my 2016 shopping priorities (as outlined at the end of this post). I want to start off by saying how wonderfully I think you’ve done. Yes, you’ve had a small lapse here and there but on the whole your progress toward what you want has been tremendous. You know, there’s a learning model where people are said to leapfrog ahead with their new knowledge but then slip backwards a few steps. From there, they move forward again, having relearned the material better, and continue to advance further. Then, they forget a portion of their newest learning again and have to go back and reabsorb it. Then, move forward once more and so on. In view of this, your forward movement (and small steps backwards while you reappraise and relearn) seem totally on target to me and quite a natural way to learn new behaviors. Your post prompted me to add up my own total expenditures. I have an arbitrary goal of under $50 a month. Some years I hit it. Some not. This year, in order to achieve it, I see that I would have to completely stop shopping for the rest of the year and I am not feeling I want to. I don’t suppose I have any goals – am more a git ‘er done person than a goal setter. But the closest I can imagine is that I could become the kind of shopper who only buys what is very special to me. Honestly, I am a very poor judge of that kind of item until I’ve had it and worn it frequently. In fact, I’ve taken on a little project lately. I wrote before about making outfits that I really liked. What started me doing this was in deciding whether I was keeping items or not (your term benchwarmers). Time after time I was surprising myself that with some expended effort and attention I was coming up with new favorite outfits from these potential discards (churnable items). I looked through a photo article about “style icon” Jackie O. Now this is “my” time so I was quite familiar with her wardrobe, though it’s pretty inescapable for most anyone who reads about style. I was surprised that out of the many, many outfits pictured, I really only liked one of her walking on the beach with the Kennedy brothers. She wore simple capris or pants and a boxy shirt. Why, I had the very thing! I wore that and liked it. And then I tried a few more items and styles that are of the sort that internet people tend to mock as mumsy or grandmotherly or retirement chic. And what I found – or had reconfirmed – is that it isn’t the clothing at all but the person within them. After all, when you put on something very “flattering” what is it really doing? Some might think, because of the many articles that advise how you can camouflage yourself, that you look good because you’ve successfully hidden yourself. I say you look good because you’ve showcased yourself. And that has much more to do with, as my mother used to say, How you carry yourself. It doesn’t just mean that keeping good posture takes off ten pounds visually but more that forcing oneself to abandon defensiveness causes a grounded attractive and attracting presence. The effect of the clothing drops away. So maybe that’s why I can’t identify special items because I need to keep relearning that the specialness isn’t in the clothing, it’s in me. And you. I really appreciate your kind words, Vildy, and I always like your perspective on things. The “leapfrog model” of learning makes good sense and I can see that in my progression over the past few years. Like you, I find it hard to know what will be “special” when I am shopping, as it does often take wearing things to know what our favorites will be. I like your project about making outfits from “benchwarmers.” I often do that, too, and it’s helped me to revive some pieces that were potentially on their way out. I actually knew exactly which Jackie O photo you mentioned and I like that one, too! I especially like what you said toward the end of your comment about the specialness being in us instead of the clothing and that clothing should showcase us and not hide us. I think YOU should start a blog – you have a lot of great things to say! Thanks for taking the time to write so much! It is very interesting to read. I love hearing about your process in your journey. This year I am in Team mod and going well. Last year I bought about 36 items not including shoes/accessories, which I don’t buy a lot of anyway. So this year I am including them in my 36. To come to this point has been a journey over the last few years. My aim being to get better and more intentional each year (this will look different for everyone). We went through a time of not much money and so I got hooked on secondhand clothing. I still couldn’t buy a lot of that either, so when we were in a better financial situation, I started buying a lot more Opshop clothing. It became a bit of a compulsion. So these last few year I have aimed at reducing that (partly how I found your blog!) and changing the way I shop. Love your tip about shopping for your lifestyle! So now I have a pretty good handle on my wardrobe. Tracking helped a lot, as I could see what I didn’t wear much or if at all, and see a good amount of items that I use in each category. At least for my lifestyle right now. Which like yours is mostly at home. 🙂 I like to wear items about 10+ times. Although with basics like jeans and cardigans I want to be over 12+. I am happy with 4-6 for items that I don’t have occasion to wear too often. I don’t need the variety that others do. I do have a budget, but I have used most of that up this year. I will try to buy minimally for the rest of the year. The reason is that I bought more new bras/underwear and shoes. They were needs, but I think I should try to space out these purchases over different years or maybe allocate more if I know I need more that year. Next year I probably won’t need many shoes at all! Maybe just one and if any need replacing. Which leads me to something else I would like to do. Next year I would like to mostly replace things that are wearing out or are older and I don’t like so much. I will be ok with buying a handful of things in new fashions if I want as well. I have a few observations from your post and some tips if that is ok.
You mentioned about bench warmers and clothes you only wore once. From looking at the pictures of what you bought, I noticed (as you mentioned your love for the new) you bought 2 black jackets but have 2 that you haven’t worn this year. I know you have mentioned before about buy similar items to find the ‘right’ or ‘best’ one. Maybe if you find you are doing this you can give yourself a guideline of having to get rid of an existing one or return the one you just bought (if it is not better than what you have). Another thing I noticed was you bought about 10 new t-shirts in both home and out&about categories. Could you have used some for both? Your new out&about look great and most would work with casual pants. This is personal preference, but would these one be fine instead of buying more sporty/very casual t-shirts? Just a thought. I also notice something that I have been guilty of and have to be really careful about. You bought a lot in your favourite colours, black and cobalt. Do you find your eye gravitates to these when you are in the shops? I know mine does since they are my favs too. I had to make a rule one year on not buying black (unless it was a replacement) because I had too many!! I found I wanted something in every style! I find that if I have something I love in a category I just leave it at one. For example, my cobalt jacket..This is my only biker jacket. I used to have a black one but it was a tad small so I gave it away when I got the cobalt one. I will not buy another in this style because I only wear it on occasion. For other items (ie t-shirts) it is good to have different styles because they are a more worn item and get washed after each wear. So for those specialty items I reduce the numbers. Then I get excited to wear my favourite one and it makes me happy! Just because you love something and it works well doesn’t mean you need multiples. Pick a fav and enjoy it. I notice you bought a nice black asymmetrical top…could you just wear the cobalt and black tunic one if you want to wear that style? Just a thought on comparing things to what you already have which might help you go the next step in reducing your out&about wear. One great thing I noticed was that you are buying things in your ‘colours’! Well done. Sorry for the LONG post! I think you have come a long way Debbie and I can see you improving towards your goals each year. It actually encourages me to stick at things in other ares of my life since my wardrobe is at a good level for me I think. Change is hard and some areas will be harder for some of us than others. So keep up the good work and don’t let a few backward steps keep you from going forward again. It sounds like you have some good plans for the rest of the year. Like you said…have fun shopping your closet. You have lovely things to wear. Thanks for sharing your wardrobe and shopping progress this year, Ruth, as well as your observations for me. It sounds like you’re doing well and have learned a lot. Yes, it can definitely be compelling to buy a lot of secondhand clothing and I’ve struggled with that, too. I’m learning to do it in moderation, but sometimes I still buy too much from such places, as was the case in recent months. Yes, I have a lot of black and keep buying more. The jackets I bought are very different from the ones I haven’t been wearing in terms of shape and silhouette, but I may return one or both of them. I DO wear my black pieces often, but maybe I don’t need more at this time 🙂 Some of my t-shirts are worn both at home and out and about, but I tend to like a looser fit at home and more fitted tops for going out. I’m pretty picky, which has resulted in my having a larger wardrobe than some, but I think I’m pretty set at this time in terms of casual tops. I like what you wrote about having a “one and done” policy for certain wardrobe categories like your moto jacket. I often think that more is better, but then that can lead to splitting my wears and I don’t want to do TOO much of that. I actually really like what Mo of MOderate Wardrobe wrote about the “rule of three” and I would like to stick to that. She recommends one dark neutral, one light neutral, and one bright or print for a given category. I don’t really like light colors (on me), so I would modify it to one dark neutral, one bright, and one print. If I can stick to that, I will be in good shape! I found this post very inspirational and encouraging. It’s a textbook model on what to do when waking up to the reality that there’s been a lapse: pick yourself up, analyze what went wrong and how to do better in the future, and then resume work, this time armed with more understanding and awareness. This is what you have done, and from personal experience I know that it’s no small accomplishment. -My budget is tight for the time being due to slight drop in income and increased medical expenses. -Last but nt least, I have started medication that has a side effect of causing weight loss. This is a very welcome side effect for me, but it means that any new clothing purchases could end up short-lived. Better to save up if I can for the time when I may actually need to buy new, smaller clothes. A total clothes shopping ban, even for such good reasons, will be challenging as the new season approaches. The progress you have made over the years reminds me though that often personal growth requires challenging yourself. I appreciate what you wrote in your first paragraph, Sara, and I thank you for sharing about your wardrobe and shopping goals. Congrats on the weight loss! It’s good that you are holding off on buying clothes until your weight levels out. Focusing on accessories and make-up could be fun and make a big difference in your wardrobe and style. You’re right that we tend to grow the most when we challenge ourselves. I’m glad you have seen that through my posts and I intend to keep challenging myself, too. Best of luck to you! I also spent more than I wanted or planned to in April-June. The first quarter of this year, I was busy moving and decorating my new place, so I didn’t have time to shop. After that, I unfortunately went a bit off the rails and bought too many items, although most of them are useful. I went to a music festival which I probably should have said no to in retrospect. Since I rarely go camping, I didn’t have any appropriate clothing and had to buy some, and then while out shopping I saw a few more things I liked, so I bought more. This often trips me up, when I go shopping for something I need I end up browsing and buying extra items besides! I do like most of what I bought, and I’m also now equipped if I ever go camping again (!) but I’m annoyed with myself for buying too much and spending too much. My goal this year was to end 2016 with no more wardrobe items than I started with, and not to spend more than last year. I’ll probably meet the wardrobe item goal as I’ve realised a few of my older items no longer fit and will have to sell or donate them. But my budget goal will be a challenge, considering I need a new winter coat. The obvious solution, which I will try to stick to, is to spend most or all of my remaining budget on just the coat. That should make sure I buy something quality which will last, while not increasing my item amount too much. I’m hoping when I run out of budgeted money I will then be forced to stop shopping rather than just move the goalposts again! I like your goals for this year, Rachel. They are simple but make very good sense. Good luck in finding your new winter coat. I know that can be challenging, as I have bought and returned multiple coats in such a pursuit before. Good plan to focus most of the remainder of your budget on the coat to get something good and not buy too many more items. I know what you mean about “moving the goalposts.” I tried to be realistic with that in terms of my item limit, as I know myself and didn’t think I could (or would) go the rest of the year without buying any clothes. It’s a delicate balance, though. Next year, I plan to buy less and not buy too much in any given month. I want to give you a big hug. Been there done that. But may I suggest that instead of punishing yourself and making yourself feel worse by telling yourself not to buy out and about clothes, instead work on going out more, becoming that person who goes out a lot. When I myself had the same realisation — that I had far too many out and about clothes for my actual lifestyle, and that I wanted the lifestyle I was buying for — I started setting goals for dressing up in my lovely clothes and going out, even if just going for a coffee or a walk by myself. I found that I really enjoyed being well-dressed even if I was merely having a coffee in a nice coffee shop by myself. My husband and I started going out once or twice a week, and we started inviting other couples to meet for dinner. One issue I had when I initially started this campaign to wear my “good clothes” more, was that I wanted so badly to go out but found eating out problematic because it might lead to weight gain. But then I realised that I do not have to stuff my face when I go out to eat. The point for me is not the eating but the going out. So I hit on the idea of ordering literally just an undressed green salad, or just a small appetiser, or just one glass of wine. In a beautiful restaurant or wine bar, I can enjoy the experience immensely even if I honour my desire not to eat too much. I had initially thought I would feel deprived, because I have always associated going out to restaurants with eating a full 3-course meal, but once we were going out a lot more often, I enjoyed myself so much that I no longer felt deprived at the idea of just having a small appetiser or an undressed green salad. This opened up many possibilities for me, because for me, the fun was more about dressing up and going out, exploring our area more, discovering new places, enjoying the atmosphere, and enjoying others’ company, than about stuffing my face. I also opened my mind to new possibilities, like going out with my husband’s work colleagues, and through doing that, I made a few friends. (Most of my friends live far far away.) I started meeting these new friends for lunch or a coffee, I having my undressed green salad, the company being the thing, not the calorific meal. Gradually I started wearing my “good clothes” more often, even to go grocery shopping. My husband and I sometimes just go window shopping in the mall, and I dress up for that too. You don’t need to save your out-and-about clothes for an expensive fancy restaurant meal, you can wear them just to go for a walk or window shopping or for a coffee. Now I even wear what I used to think of as my “going out” clothes at home. Not always, but quite often. Making this change — actively making my lifestyle more in line with what my clothing indicated I wanted to be doing — going out and about more, and wearing my “good clothes” more — helped create in me an aversion to buying more clothes, because I started really focusing on just how few clothes one can wear in a lifetime, and I realised that I have more clothes and shoes than I can possibly wear enough to justify the expense. I then naturally switched from being obsessed with shopping, to being obsessed with wearing all my clothes before I die! Actively taking these small steps to change my lifestyle has helped me make many discoveries, including recently realising that when I’m at home I must must must wear multiple pairs of shoes for 5-to-30-minute periods to keep my feet used to them, so that when I want to wear them to go out doing significant walking, I can. Had that realisation only the other day, and have been rotating large numbers of shoes all day every day since then. This in itself has given me even more of an aversion to buying more footwear, because it is so obvious I have far too many pairs of shoes and boots. Instead of changing your buying habits to match your lifestyle, I highly recommend taking small steps to change your LIFESTYLE to match your clothes and shoes, opening your mind to new possibilities in terms of occasions worthy of wearing your out-and-about clothes. You WANT a different lifestyle, so changing what you BUY rather than what you DO won’t make you happy. Or at least, it wouldn’t have made me happy to buy more for my home life, it would have made me feel ever more of a sad loser with no life (which is how I used to feel). Just a thought. I hope this helps. A big hug. You are amazing. Try not to be so hard on yourself. Thank you so much for sharing your insights, Wendy. I like the idea of scheduling some simple outings like coffee or a light meal during which I can wear my clothes. I already wear my “good clothes” for things like doctors’ appointments and errands, but that’s often not enough to see much wear from a lot of my clothes, though. I think I just need more balance with my lifestyle and your suggestion would definitely help. Sometimes a little goes a long way. I’m glad it has worked for you and I appreciate your taking the time to share your success with me. Good luck with the shoes! No judgement, only thoughts of love and care. My weight went up so I bought a few casual summer things – loose tees and print trousers with elastic at the back waist etc. It’s been hotter here than normal so I’ve worn wants fits and is weather suitable to work even if it’s not quite work suitable. Nothing bad happened. I have changed my eating patterns and hopefully will lose some weight. However at least I am not hurting my body until that point. I appreciate the love and care, Ruth 🙂 I think it’s good that you bought a few summer things that fit you now. A lot of people won’t do that but it’s harder to lose weight so when we are wearing uncomfortable clothes. Most of my summer clothes still fit me (looser silhouettes) and fortunately I am losing some weight now such that hopefully my jeans will be okay when the weather cools off. Best wishes to you with the weight loss and good for you for taking care of yourself! Well done on your overall improvement, despite the recent glitch. My only suggestion would be to refrain from another purge for quite a while and just enjoy experimenting with your new purchases and integrating them with your old favourites. I’ve bought more than I intended to – 27 including shoes, and my goal for the year was 30. My long term aim is to think in terms of outfits, and to get around 2 new ones per season. That should be more than enough to liven up my wardrobe. This idea was inspired by Vildy so thank you for that! Good idea not to purge too rapidly, Alice. Sometimes that pushes me to want to shop more. What I have been doing lately instead is moving unloved clothes into a “holding zone” for a while to see if I reach for them. I agree that I need to work on integrating my new purchases into my wardrobe and that is now my primary focus. I like your goal of thinking in outfits and getting two new ones per season. Vildy has inspired me in that regard, too. I think she should start a blog with all of her great insights! We talk often in the Facebook group about always being in a state of recovery. There are better days/weeks/months and worse ones too. A health issue, especially one which affects your physical appearance, can certainly trigger additional shopping. You’ve learned that in this time of challenges, you still need to rely on the tools you have used successfully for several years to stay on target with your goals. You need to keep tracking, monitoring and analyzing your progress monthly, instead of quarterly. What a great lesson to learn while you still have time to make corrections and meet your year-end goals. 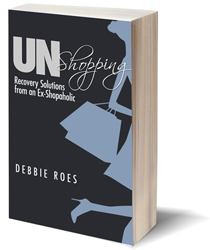 As always, you have great insights and I love Ruth’s analysis of the items you’ve bought. You seem to be branching out in terms of silhouettes and styles, especially in your accessories. I am wondering if you could consider moving some of the lesser worn items to house wear, especially if they are comfortable for laying around. I had a goal to spend 30% less than in 2015, which was 30% less than in 2014. I also had a second goal to buy 30% fewer pieces. I realized the amount I cut was too much this year. So, revised goals are more manageable, but still an improvement. My item goal is buy less items than last year (even if it is just one) and my budget goal was reduced to 20% less than last year. I have done really well in the choices I have made. But this time last year, I had already removed items I had purchased earlier in the year. This year, everything except 2 dresses I got very cheap for vacation is a love. The great news is that I can shorten the dresses and I will be much happier with them. I’m still working on my item use/benchwarmer goal updates. I have noticed an unintended consequence of making myself wear new items to get their cost-per-war down. I am passing up loved, but older items, in order to reach an arbitrary “average CPW” in my closet. I am switching gears with one(ish) more months of summer left to make sure I use and evaluate all of my summer clothes. You’re right, Barb, about what I learned from the past few months. Even if I don’t do the accountability updates on the blog, I need to do them for myself or else I might get off track. I have forgiven myself for shopping too much, as I understand why I did it and it wasn’t too crazy in that I can still meet my budget. I may return a few more things, but I like that my revised item limit feels more doable. I think it’s good that you revised your goals, too, into ones you are more likely to be able to accomplish this year. Great job with your successful 2016 purchases! Yes, there can be a dark side to trying to wear all of our benchwarmers and get a good CPW. I have written about that before and that’s part of what motivated me to do my LIWI project last year. Best of luck with the remainder of summer and using and evaluating all of your summer clothes! I haven’t been good about reading blogs or posting (comments or blogging) in a really long time. Like two posts in a year bad. I think you’re doing really well, Debbie. Mindfulness doesn’t equal perfection, just awareness. And ideally, leads to action more in line with our values. I had twins a little over a year ago. Managing a work-appropriate maternity and then postpartum wardrobe led me to scrap my goals, accountability, and plans for a long time. I returned to work part time after extended work leave on reduced or no pay. I find myself struggling to avoid debt, unhappy with aspects of my wardrobe (even after culling nearly half of it in a Minimalist Game challenge in March), and unwilling to go farther into debt to fix it. I’m frustrated and upset all around. Seasonal capsules. I stacked my entire wardrobe on my bed and divided everything into four piles by weight, cut, and color according to spring, summer, fall, or winter. I tried to achieve balance between casual, dressy, work, and court clothing. I moved my summer pile and a few year-round favorites into my closet. I set aside a full drawer or bin for each of my remaining seasons. I will shift them out on June 1, September 1, December 1, and March 1 each year. At each shift, I will cull what I didn’t love from the ending capsule, whatever I’m sure I no longer love from the new capsule, and make a shopping list. I will try to stick with that. Before kids, I didn’t have a set budget often. It wasn’t a big problem. But with a fraction of my prior salary and more emotional shopping (my body is different and still changing and occasionally a new top or outfit is just the right response and I’m okay with that), I need a budget now. I’m going to aim for $200 or less per month. That is enough to get a special item, or a few staples. Ideally, from a wardrobe size (manageable or bust! ), I’d love to limit it to 3 items a month, but that’s not always realistic. So I am leaning toward budget-oriented goals instead. Great to hear from you, Rebecca, and BIG congrats on the birth of your twins!!! Good job on doing the Minimalism Game, too. It definitely sounds like you’ve been going through a challenging time with your wardrobe, but I like the steps you have taken to get to a better place with it. The seasonal capsule concept sounds like it will work great for you. That should really help you with compiling a working wardrobe from what you have and seeing what your true gaps are. I hope you will feel up to blogging about this at some point, as I know it will be interesting. It sounds like your plate is very full now, though! Best wishes to you with your wardrobe and everything else. I’m very happy for you about the additions to your family! I decided to stop buying clothes and instead sew my own clothes. I realize this is not a choice for everyone, but it has been right for me. I’m slow (I usually have to go a through a few couple rounds of fitting) and consequently deliberate. Over the summer I have finished a t-shirt and swimsuit. I also have jeans, a tank top, and pajamas in varying states of progress. For what I can’t make: I recently updated my eyeglasses for the first time in, like, 10 years and spent out (a lot) for a pair that I completely love. I also got a pair of shoes which I am deliberating about and received a few pieces of jewelry as gifts. Maybe most importantly, as per Wendy’s excellent comment, I took a few steps to feel that I hope will lead to connecting with other women with similar interests and experiences. I’m glad my post resonated with you, cm. Thank you so much for sharing the self-compassion exercises! I definitely plan to do some of them, as I need to be a whole lot nicer to myself. I admire you for sewing your own clothes and I’m happy this has been the right choice for you. Sounds like you have made some excellent progress already! Sewing jeans sounds tricky, so you must be getting good at it. Congrats on getting the new eyeglasses and shoes and on taking steps to connect with other women. I really need to do the latter, too. I’m scared to do it, but that’s all the more reason I need to push myself to do so. 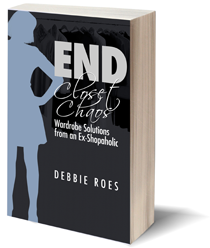 Dear Debbie, this is a lovely introspective post, sharing a personal glimpse into your thoughts, life and wardrobe. Thank you for trusting us (your readers) with your heart. What were my wardrobe and shopping goals for 2016? How do I feel you’re doing with those goals? I live an ultra-casual lifestyle with much time spent at home and my goal was to buy only needed at-home wear items and 12 or less pieces of nicer “out-and-about” wear this year. I’m finding it easy to meet this goal and have come to understand that 12 pieces of nicer wear is probably too high of a number of new items for me since I don’t wear my nicer clothing at home. At home I’m happiest wearing capri pants and a tee shirt. I want to look nice and pulled together at home, yet in easy-fitting, easy to-wash clothing so that I can enjoy doing my writing work, cooking, gardening, or reading with my cat and my dog curled on my lap. Did I set a clothing budget for myself? Am I on target for that budget? In the past my yearly budget was similar to yours. Two years ago I cut my budget with the thought that just because I can afford it does not mean I need to spend it. In the past I always spent right up to my limit, resulting in too many new purchases and too big of a wardrobe. Do I have an item limit in place for your 2016 purchases? No item limit on at-home wear, instead I have a goal of bringing in less whenever possible, and I replace underwear, pajamas, work out wear and at-home wear as needed. I don’t want to end up with a ton of unworn items of nicer wear so I’ve learned it’s best for me to limit new purchases in category. Do I track how often I wear my clothing, shoes, and accessories? No, I don’t track, a smaller wardrobe works best for me. But six years ago I had a large wardrobe of largely unworn clothing, so this is how I know a smaller wardrobe is better for me. I don’t mean for my comment to sound preachy, or like my way is the best way, or to make it sound as if I’m never tempted to shop and buy whatever calls to me. Because I am tempted. But now I understand that my nicer clothing won’t see much wear. I think the reason I’m content not buying as much in the nicer wear category is because I’m content with my ultra-casual lifestyle. Even my social life away from home is ultra-casual with long beach walks, or dinner at an outdoor, dog-friendly cafe, where everyone is wearing ultra-casual clothing, with an ocean breeze blowing and sand on the sidewalks. Pardon me Debbie, I failed to edit your thoughtful questions to reflect first person (me) not third person (you). I know you well enough to know that you are not preachy, Terra. I appreciate your answering my questions and sharing your experience. It sounds like what you are doing is really working for you and that is great. A lot of what you wrote resonated with me, but I will just mention a couple of things. I like the part about cutting your budget because you always spent up to your limit. I do the same thing and have cut back quite a bit over what I spent before the blog, but I know I need to cut back more given my lifestyle. I’m happy with my casual lifestyle for the most part, too. I like Wendy’s suggestion above for getting out more, but the types of outings I will likely do will still be fairly casual. I have done better at not buying formal clothes, but I have still bought too much. My long-range goal is to buy and spend less and to spend less time and energy on my wardrobe and clothes in general. Tracking wears has served me well, but it’s not something I plan to do indefinitely (and may stop after this year). A few weeks ago, I dug out my bin of nice workout clothes from Athleta and started wearing them at home. I definitely am more careful about what I eat wearing these clothes and am just more likely to move around when I am home. I sure find a sport bra to be more comfortable than my underwire bra around the house. Now that I can fit into my NYDJ pants again, I am focusing on accessories. My sister bought me a small crossbody faux leather purse/tote in red (Guess Delaney mini), and I found out that enjoyed using it. I typically use a 5-6 year old medium-sized brown purse/organizer from Fossil that was stuffed to the brim. (The purse that I had before the one from Fossil was from Walmart and broke!) Just for an experiment, I bought a small faux snake crossbody purse from Ebay and I find that I use it quite a bit. It is interesting but not loud. When I need inspiration, I look at the Putting Me Together blog and her series on building a remixable wardrobe. I would like to say that I enjoy her perspective on items from Nordstrom, one of her affiliates, because it feels like I am shopping vicariously through her! I also watch the videos at https://www.youtube.com/channel/UC9mN7eWaKgWsCOj-Fo9WFXw (Iloveparis). I love the videos “Fortysomething Chic Parisiennes tell you how le chic à la française is done” which has three parts.. I notice that these women are very well groomed and simply dressed but nothing is skin tight. Still, they all have a point of view. I am also a fan of the 4×4 wardrobes at Vivienne Files and look at color combinations for inspiration. Also, I am following the hair ideas in “Forever Chic.” I bought new shampoo and now wash my hair every 2-3 days unless it is very hot. I don’t blow dry it anymore but just let it air dry and do it’s own thing – so much simpler than before! Also, a printed jogging pant could be a fun item to wear at home and out. I am still looking for one that fits my small frame. I don’t want to feed anyone’s shopping problems but I know how frustrating it can be to find something that really speaks to you and will be worn with pleasure. Thanks for sharing your thoughts, resources, and links, Maggie. I resonated with your asking yourself if you will wear a potential new item or if you just want to have it. I think I often want to have things more than I think I will wear them, so this is a good question to ask. Like you, I am also chasing a feeling when shopping and want to feel fabulous. You’re right that I don’t have any colored pants, but that hasn’t been for lack of wanting them! The fact that I’m tall and most styles are skinnies has been a problem for me. I can’t wear tight pants due to nerve pain and whenever I have seen colored pants in talls, they have been a skinny style. I need a straight or boot cut, but I haven’t given up yet. Good for you for finding $5 pants that have added a lot of possibilities to your wardrobe! I like Putting Me Together’s posts, too, and have been reading her blog for years. I will check out the videos you linked to and I’m sure others will, too. Nice post! I see that you’re getting more and more ambitious with your goals. What’s especially ambitious is that you’re doing the tracking during a time of fluctuating weight, which is enough to throw off the most ardent of wardrobe trackers. Benchwarmers are really hard to get rid of. Heck, I have a wardrobe with about 75 items total, just including out and about clothing, outerwear, bags, and shoes, yet…yes I have benchwarmers. Why does this happen? I still don’t know the answer even though I feel like I play tetris with my clothes because I arrange them into as many outfits as possible. 1. What were your wardrobe and shopping goals for 2016? How do you feel you’re doing with those goals? My goal is not so much to remove clothing but to maybe fine tune my wardrobe so it fits my needs better. I’m not as diligent as you are about filling in things I need, so sometimes I feel I scramble a bit for special occasion outfits and outfits for super hot weather. 2. Did you set a clothing budget for yourself? Are you on target for that budget? If not, what adjustments do you need to make in order to meet your goal? Probably about $200 this year. It would go to shoe replacements and possibly a special occasion outfit and a blouse or two for work. Lack of money and space help in that regard, because if I bought something I would have no place to put it and I don’t have much money to buy in the first place. 3. Do you have an item limit in place for your 2016 purchases? If so, what is included within that limit? Do you feel that you’ll meet that limit or are revisions in order? Here I have a strict limit. If I get something, something else has to leave the closet. I have so little room right now that even though I have what many would consider a pretty small wardrobe, I feel the need to cull it down further. While for some people, this may lead to unnecessary churn, my lack of money and time to dedicate to shopping conspire to keep me off the shopping bandwagon, but it also means that I’m also keeping some duds that I probably should let go of…. 4. Do you track how often you wear your clothing, shoes, and accessories? How many times per year (or month) do you want to be wearing the various pieces in your wardrobe? I don’t personally track, but my favorite posts of yours are the tracking ones. I’m very much impressed with your tracking system and I love the accountability posts too which I kind of see as tracking posts (sort of). For me, instead of tracking wears, I use the Konmari question of “Does it spark joy?” When I consistently get that nagging feeling that something isn’t right and I always choose something else to wear, I remove it from my main closet area and if it stays in purgatory long enough, even with my homemade alterations or freshening up, I know to let it go because I simply don’t have the space to keep everything. Thanks for your praise about my goals, Jane. Fortunately, my weight hasn’t fluctuated too badly and it’s now going down again, but it was rough there for a while. I appreciate your always responding to the questions I ask at the end of my posts. RE: benchwarmers, most people DO have them and it can be helpful to look at what they have in common. Are they all formal items? Are they are style you used to love but don’t anymore? Did you buy these items for a lifestyle that isn’t yours? See if you can find a common element or elements. If nothing else, perhaps you’ll learn what not to buy moving forward. It sounds like your one-in, one-out rule is working for you and helping to keep your wardrobe small. Yes, this can lead to a lot of churn for some, but that’s where self-awareness comes in. What works for one won’t work for another. I’m glad you like my tracking posts even though you’re not a tracker. The KonMari question is a good one and having a sort of closet “purgatory” is something I do, too. I tend to second-guess my decisions, so that in-between place makes it easier for me to let go. Well I felt so inspired I just had to do my own analysis. But I haven’t thought it through totally yet so I might have to come back to conclusions later. I had roughly the same budget, 2400 for the year. I didn’t budget per quarter, just for the year itself. The amount, however, was 1000 less than last year. I had been working on finding a style a I think I have it now, and enough clothes to make it work. So I thought I should cut back on budget and consider myself in maintenance. I did give myself a number limit of 4 items per month. My thought was to replace UP and buy better items, removing old ones, since I was in maintenance. However, I blew this number away puchasing 78 items already, nearly 200% of my 48 item limit. Uff, why? Well, firstly, I figured out after getting my style nailed that I had enough clothes. But I did feel I was wearing, and wearing out, the same shoes. They were both worn and kinda outdated as I haven’t a big focus on shoes and accessories. I knew I had enough accessories because I struggle to wear those enough. But shoes are a need, I thought. So I found some bloggers with the style I like and studied the shoes. I then started buying, and I guess I couldn’t stop. I ended up with about 30 new shoes this year. Granted I did remove 28 as well but that is only part of the point. I shouldn’t have to replace my entire shoe wardrobe in a year. This must be a compulsion to pay attention to. I noticed also that I did the same a few years in a row with trends. This year it was “fringes” so I ended up getting myself 3 pairs of fringed shoes and 2 purses. I don’t seem to be able to stick with one fringed item. I did colors like oxblood and cobalt in past years. I see by the analysis that once I get an idea in my head, I go crazy with it. And don’t stop until I have purchased too much. which means I am wearing my wardrobe items pretty well. It seems I am struggling to wear my newer items enough. Which makes me think about the concept of ‘splitting wears’. Every time a new item comes in, you have to split wears with the old things. unless you purge. Especially when you track wears per year (as opposed to wears over item lifetime). SO then I tried removing all items bought in 2016 – to see if I had same problem without ‘young’ purchases that I haven’t had an entire year. On bench warmers, I had 26. Too many probably, but I am actually ok with that number for my closet size. I have found that I am at a stage where I prefer to hold on to items just a bit longer because I have regretted a few purged items in the last years. so it looks like I am both buying too much, and not using the items enough. I was pretty ok with around 150 clothing items, but with shoes and outerwear I am actually trying to use 225 items in a year. And apparently, that is still too much. Gonna have to think long and hard about how to tackle this now. I really feel I like alot of my clothes and I am nowhere near the old ‘using only 20%’ of my clothes. most DO get worn regularly. Just not regularly enough because there is just too much. Thanks for being a role model. I don’t normally dig into my numbers like this and see the trends. I have mostly focused on purchasing side and not use. But use it maybe MORE important because it shows whether purchasing is in balance. Final comment on the purchase/purge ratio: My closet is roughly the same size as last year. I brought in 78 items but removed 69 also. So keeping the size I have acheived this year. I hadn’t planned to reduce. But now I see I am going to have to consider a reduction in order to get up wears. That is a little depressing. I really appreciate the level of detail and honesty you put into your comment, Jayne. I enjoyed reading it and learned some valuable insights from what you wrote, as I know you did, too. Doing this type of deep analysis can teach us a lot. You have noticed what is working and what is not, much like I did (although our conclusions are not necessarily the same). What we have both seen is that when we buy a lot of new items on a regular basis, many of our items won’t get worn often enough, whether it’s the new pieces or the older ones. If we want to wear more of what we have, we will have to either buy less or purge more (or some combination of the two). Yes, it can be depressing, but it’s good to know what we’re facing. Best wishes to you! There are periods of our life where we buy more, and (hopefully) periods of our life where we buy less. I don’t think you should be ashamed, as after all, recovery is not linear. Weight issues require some additional shopping. I do wonder if splitting your wardrobe into “out and about” and “at home” has run its usefulness course, though. It was a good thing to get you to pay more attention to the clothes you wear most often, but for me I found that merging those clothing categories helped more – I improved my casual wardrobe and made my work wardrobe more casual until eventually they were basically one and the same. By still allowing yourself to buy separate out and about clothing, maybe you’re justifying allowing yourself some extra shopping that you don’t need? I changed my way of shopping in the last few months. I joined Stitch Fix, and have signed up for a shipment of 5 items of clothing every 3 months. It saves me going out shopping, and brings some more fun and stylish clothes into my life that I wouldn’t necessarily pick myself. Each shipment has ended up being about $220-$240. I’ve had 10 items from there (2 shipments), and then also bought some PJ’s this year. Other than that, I bought 2 or 3 pairs of shoes. Oh, and a new yoga top. This year has been about getting rid of my stricter monthly limit on purchases and seeing if I could just buy less. I’ve been mostly focusing on purging old clothing and reducing my wardrobe size. I find that I’m really enjoying having a smaller wardrobe as I wear things constantly until they are dying/ripped/holey and then happily discard them in favor of something new. 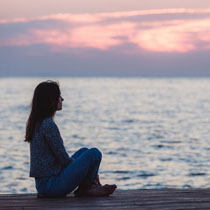 I’m not perfect yet – there are still some benchwarmers that I feel that I “should” keep just in case, and with those items that get very little wear, they are so hard to let go of. But, it’s a process. I’ll get there, at least I now have no doubt about that, whereas at times in the past I’ve doubted that I’d ever be able to discard as much as I needed/wanted to. Good points, Sarah. I definitely think I’m still buying too much, but I’m glad that I have some better items to wear at home now. The gap between at home and out and about has gotten smaller, as I used to wear pretty ratty looking items at home. I’m glad that I got rid of those things and are wearing better casual items at home now. I don’t know what my goals for 2017 will be just yet, but I do think I will opt to buy less overall regardless of its purpose. Thanks for sharing your experience with StitchFix. I’ve heard of it but didn’t know much about it. Sounds like you’re doing well with your 2016 shopping . I like that you don’t need a strict monthly purchase limit and are now just wanting to buy less. I hope to get there, too. You’re right that it’s a process, but we are both making progress. I don’t think we will ever be “perfect” and have NO benchwarmers, but having fewer ones is a worthy goal. Oh Debbie, I’m sending you a big mental hug. You have made such great progress and are so open and brave. We all have areas of our lives that can easily slip into unhealthy behaviours when we don’t feel good. Those inner mean girls say things to us that no one else ever would! What were your wardrobe and shopping goals for 2016? How do you feel you’re doing with those goals? My main goal is to have a very small capsule wardrobe, essentially a uniform that I don’t need to think about but always look good in and feel comfortable. Say 4 tops for summer or winter, two jeans, a coat, 4 shoes, 2 dresses etc etc. I need to get more specific and see how I’m doing against it. (I’m currently a stay at home Mum so I have both a working and a maternity wardrobes packed away as I hope to use both again). Another goal is to be very picky with what I buy. I aim not to buy ‘plastic’ clothing, only accepting things with a few percent of non natural materials (wool and linen are my favourites for tops). I’ve had my colours done and try to only try to buy in my colours – muted blues, raspberry, grey. I’ve also had a consultant tell me what suits my body shape. With all those constraints I don’t buy much and don’t enjoy shopping anymore. Now I only shop for a specific need. So I feel pretty good about those goals. I sometimes overbuy other things (e.g. trying different cloth diaper systems for my daughter) so need to find a way to get more accountable for that. Did you set a clothing budget for yourself? Are you on target for that budget? If not, what adjustments do you need to make in order to meet your goal? My budget is about 100 euro a month (far less than when I was a working woman!). I need to check how I’m going but I think I’m on track. What I buy is expensive but I don’t buy much. Do you have an item limit in place for your 2016 purchases? If so, what is included within that limit? Do you feel that you’ll meet that limit or are revisions in order? I don’t have an item limit. At a guess I wouldn’t be buying more than one item a month, I’ll check that too. Do you track how often you wear your clothing, shoes, and accessories? How many times per year (or month) do you want to be wearing the various pieces in your wardrobe? No I don’t track my wears. I want to wear my daily clothes at least weekly when they are in season and I have one or two special occasion outfits that I wear monthly (they are mostly items of workwear I otherwise have packed away). 1. Get more specific about my capsule wardrobe goals and compare that to whats there. Thanks for the mental hug, Mel! Yeah, my inner mean girl can be pretty nasty… I’m glad my questions were helpful for you and that you got some good takeaways from them. It seems like you are doing very well with your capsule wardrobe and your shopping. Getting your colors done and learning about what best suits your shape seems to have served you well. It’s good to be able to narrow things down in terms of what does and doesn’t work. I like what you wrote about not buying “plastic clothing.” I prefer natural fibers, too, and thinking of synthetics as plastic puts a useful spin on things. Thanks Debbie, you are lovely and it’s so kind how you take the effort to reply to everyone’s comments (but please don’t sacrifice your health to do so!). I did my homework to answer those three questions. It was good to feel accountable via this blog. 1. I wrote out a list of my ‘ideal’ wardrobe for my ‘here and now’ life as a stay at home Mum. I compared that to what I have and was pleased to find a very close match. Where I had a gap I had something similar that can fill in until I find the right thing. It did show me that the next thing I wanted to buy (boyfriend jeans) is purely a want and not a need, and what the biggest gap is for the next thing I should buy (a between season jacket that is smart but also casual – I currently live in a very small European town and people here dress surprisingly chic). 2. This is the first time I’ve had a clothing budget and I wasn’t tracking it but thought I was doing well. Hmm. Turns out I’ve overspent by two months. I’ve decided to not buy anything else (with the possible exception of the jacket) until a trip home in the new year because I can get things cheaper there and buy in person instead of online. I did review my purchases and was pleased to see that most of them were good buys and are now favourite clothing items. 3. I took all the clothes I don’t currently wear (because they really belong to my smarter work wardrobe) out of my closet and put them into storage. I also threw away a few favourite items that are no longer in good condition. 4. I also reviewed what I’ve spent on my daughter and other (non clothing) purchases for myself. I didn’t spend much on other things for myself but we have overspent the budget on my daughter by 50%. Looking at what we have bought we have agreed it’s necessary and likely to continue so we’ve increased the budget for things for her. Well worth doing. Having over spent my clothing budget was a surprise so I’m going to track that more closely in the future. Well, now I feel silly because you complimented me on responding to everyone’s comments and then I completely forgot about the ones that came in while I was away! Thanks for taking the time to share your respond to the three questions, Mel. I’m so glad you felt it was well worth asking them. I’m always happy when I engage in introspection and analysis, as I learn so much in the process. I think it’s great that your wardrobe is a good match for your actual lifestyle. You are one step ahead of many in that regard! I do the same thing as you with the wants (like the boyfriend jeans) versus wardrobe gaps. In my case, I need pants most of all and often neglect to buy them in favor of other things that are more interesting or fun. Good for you for deciding to curtail your buying until next year, with the exception of the jacket you need. Wonderful that you buys this year have been good ones. You’re doing very well overall! Tracking has been helpful for me and I’m sure it will be for you, too. I recommend that you do it at least monthly, though (if not more often), as things can get out of hand quickly, as was the case for me this year. Best wishes to you! I had no specific wardrobe goals or budget for clothes and haven’t bought much other than a few t-shirts, some underwear and athletic clothes. I am completely uninterested in going out or dressing up at this phase of my life. However I did go totally off the rails with my perfume obsession and spent far too much in this category, so I have decided to cut way back. I may buy 2-3 more bottles this year of new releases but that’s it. And I am determined to stick to my budget next year. I started with a budget and item limit for perfumes but totally ignored it. Running out of spending money half way through the year is not fun, so I think I will be able to do better in 2017. This year was my first without a paycheck and I have now gotten a better idea of how I need to pace myself. It seems like retirement is treating you well in terms of your clothing, Tara. Good for you for not buying much in that area. I know that perfume is an issue for you, though. We often have different problem areas and they may vary over the course of our lifetimes. Yes, running out of money mid-way through the year is no fun. I have been there multiple times. It’s great that you have learned from this year and understand how to better pace yourself for next year. It’s never too late for us to change. I vow to do better next year, too, and I know we both can do it.